Travel light without the hassle of heavy meeting materials, business samples, gifts and more. Boxes are waiting for you at your hotel, office or home at destination. 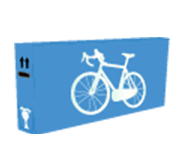 No need to spend more money on moving your boxes between airport, hotel, school, company and home. We arrange pick-ups at scheduled time frames from your door, and deliver boxes to your home, office, college campus, and hotel at destination. You may drop off your boxes at over 250,000 locations worldwide. 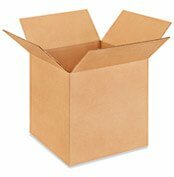 We provide up-to 6 months of free storage services for your boxes. Choose correct box size. Do not overload or exceed the weight/size limitation. Put shipping labels and document inside label pouch, tracking barcode facing outside. Stick the pouch tightly to the box. Do not place it on the top of the box opening. Tape an additional label on the box with clear tape. Take a full picture of your labelled box, with the tracking barcode.